Wish you could get that "finished' look right away? Full, lush plants that give instant curb appeal? Learn the secrets - in my newest ebook! 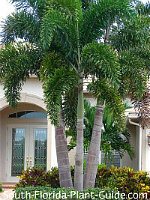 A Guide to South Florida's fastest growing plants - and how to use them for instant curb appeal! Is instant curb appeal possible? Yes - and you can achieve it! New landscaping often looks skimpy with small plants and too many empty spaces...and seems to take forever to grow into something beautiful. 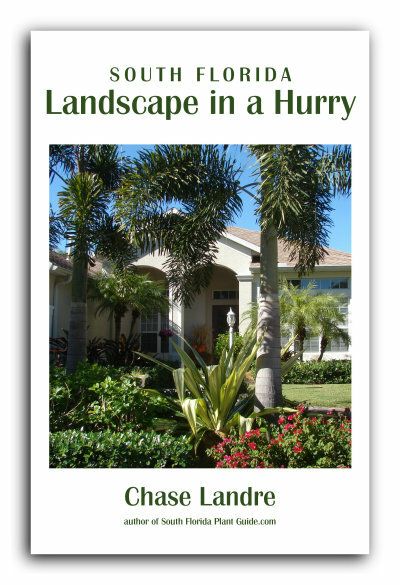 Landscape in a Hurry will show you how to avoid this sad, scrawny, too-new appearance. AND deciding which way is best for you - hiring a landscaper or doing it yourself - or even some of both! We live in a 'right now' kind of world. And most of us who want new landscaping want that finished look now. Full lush shrubs, spectacular palms, showy accent plants. Lots of color and wow factor. Don't want to wait for new landscaping to fill in? Why wait if you don't have to? Have you been thinking of re-designing your landscaping - but don't want that "starting over" look? Did you buy a new house with "builder-quality" landscaping you want to do over? Or is yours an older home with a tired landscape? 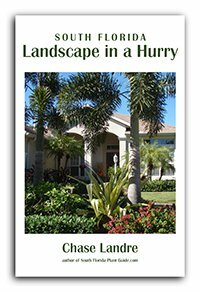 Landscape in a Hurry is designed for those of us who want it all - now! Should you hire a landscaper - or do it yourself? We live in a "NOW" society. So why should our landscaping endeavors be any different? **PLEASE NOTE: This ebook is in pdf format and may not display perfectly on all devices. It is easy to purchase and download. Your order will be placed through E-Junkie, a secure authorized billing agent that works in conjunction with PayPal. Even if you don't have a PayPal account, PayPal will accept your credit card. They will validate your credit card, and upon successful payment you will receive an email from E-junkie with a link/place to click to download your ebook. I think your books are wonderful. Very straight forward and easy to read. I also like your style of writing. I don't feel like I am reading an instructional manual, but more like a friend just giving me some advice. you showed the different pot sizes with plants showing the person standing next to them. Great visual. A 3-gallon vs. 7-gallon means nothing without the reference points. curb appeal, or for those just wanted to redo a section of their property. Landscape in a Hurry is a straightforward approach to one of the most challenging tasks that we homeowners face - landscaping. Included are many practical tips on budgeting and choosing a landscaper...or not. I especially liked the direct link to details about the various plants and their special needs regarding sun exposure, watering, etc. It's a quick read, but filled with information that you will go back to. Very interesting and informative! I like that you showed pictures of each plant, and the info on how big it can get. Also, showing the difference in container sizes is a great help. I think anyone considering new landscaping should read this, they can't go wrong with such good advice. Slim budget? Don't let that stop you! Landscape in a Hurry suggests strategic choices to help stretch your money - and still get a great new look for your home! I've been wanting to re-landscape my property but had a lot of questions of how to go about it. This book has given me a great start! You have such a friendly, concise, informative way of helping folks understand Florida gardening. I enjoyed this ebook very much. Color photos including 80 plant varieties! I never realized there were so many fast growing plants. Now I want to use them to get the look I want immediately. Great book!